EAST SANDWICH, Mass., June 14, 2018 /PRNewswire/ -- Certified strength and conditioning specialist and nutrition coach Michael Wood offers readers an inside look at how he trains his private clients using his unique step-by-step approach that follows the same nutrition and exercise strategies that have made him a nationally recognized expert in the field. The TBC30 plan gives readers a game plan for teaching the same science-based approach that has worked for Michael and his clients for more than 30 years. His 6 step plan will help change your mindset and eventually your behavior. The TBC30 plan includes a high-quality exercise regime with nine nutritional strategies which are woven together with the use of today's technology. Empower yourself to reach your health and fitness goals with Michael's invaluable TBC30 plan. 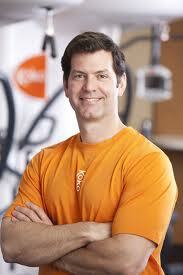 Michael Wood, CSCS, PN1, is a certified strength & conditioning specialist and nationally recognized fitness expert. His exercise programs have appeared in two other books, The 30-Minute Fitness Solution by JoAnn Manson, MD (Harvard Press, 2001) and Cut Your Cholesterol by David Katz, MD (Reader's Digest, 2003). Michael is the co-author of ten scientific research papers and abstracts as a result of exercise research completed at the USDA Human Nutrition Research Center on Aging at Tufts University in Boston. Media Contacts: Wicked Whale Publishing at capecodscribe@yahoo.com and Michael Wood at woodspg@gmail.com and 508-369-5430.